All the way from Australia! 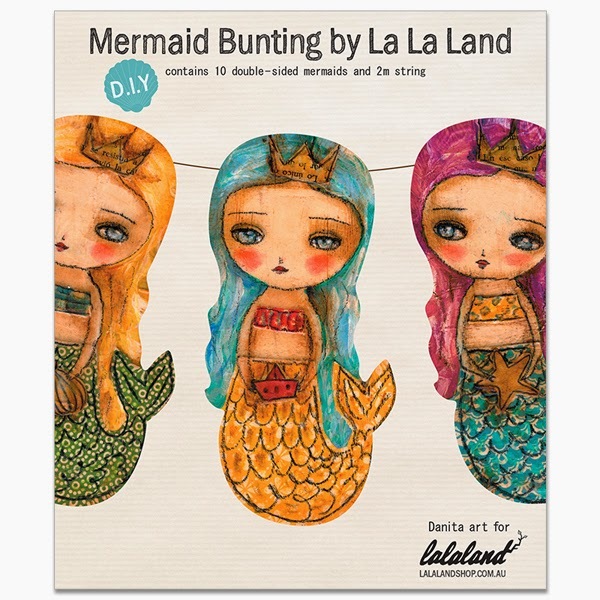 The new Mermaid Bunting kits by Lalaland are here! Remember my Fairy Bunting? 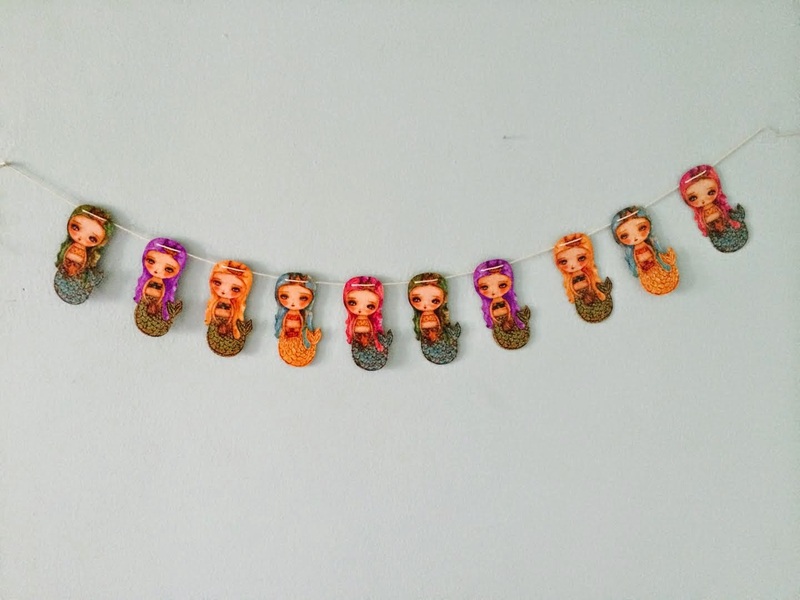 Well, now I have a new bunting kit available, this time with Mermaids! My art has been Sea inspired lately, and these mermaids arrived just in time! 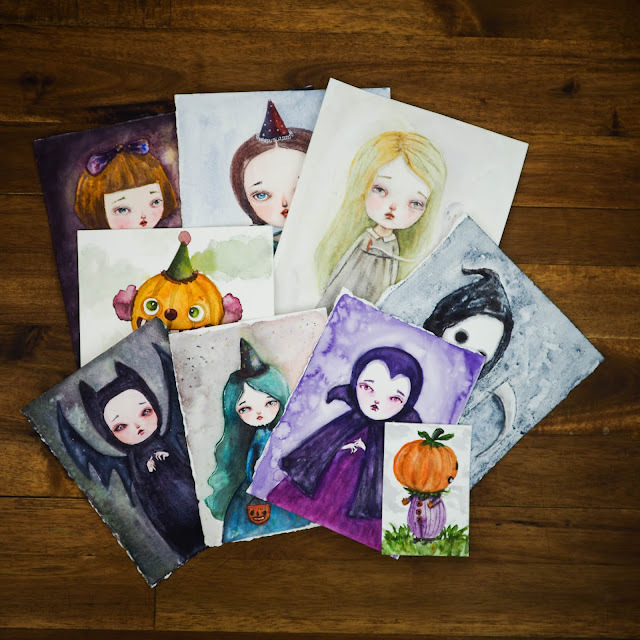 They look awesome hanging together and are double sided, in case you wanted them in a window. There's a limited stock in my shop.